Tropical Storm Gordon left behind enough standing water to give mosquitoes a fertile breeding ground, according to Lee County Mosquito Control. 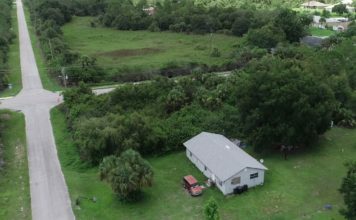 “They’re just swarming all over, I mean there’s just an abundance supply of mosquitoes,” said Fort Myers resident Holy Santani. Fighting to stop mosquito populations from growing, Lee County crews are trying to stay one step ahead by dispatching crews. “It brought in some rain and there are pockets where water pooled up in areas that have flooded that could potentially grow mosquitoes,” said Eric Jackson, of Lee County Mosquito Control. Crews were “larvisiding,” or wiping out mosquito larvae, before they can grow into a problem. “If left unchecked or we let those mosquitoes go or we don’t find those mosquitoes they will emerge as adults,” Jackson said. Santani is a mother who lives right near where crews were flying over Wednesday. “We need to keep the mosquitoes controlled and just make sure that our kids are safe,” Santani said. When it comes to what these crews are looking for it’s not necessarily ponds like this that can feed on larvae, rather temporary pools of water that create the perfect breeding grounds for hundreds and thousands of mosquitoes to grow. 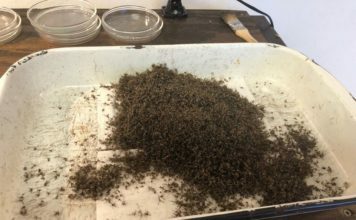 “When that insecticide gets into the water the mosquito larvae which are filter feeders will feed on that bacteria which will then kill the larvae,” Jackson said. Mosquito Control says the rain Tropical Storm Gordon brought is nothing compared to the rainfall last year. Mosquito populations are also lower this year, but that doesn’t mean crews can relax. “The other concern with adults is that can be the time when we start to see disease pop up, such as West Nile Virus so that’s really important that if we see adults in the area we are knocking them down,” Jackson said. If mosquitoes are becoming too much of a nuisance in our neighborhood, submit a service request online to the Lee County Mosquito Control District’s website.